Butterflies at Taipei Zoo - Taiwan Ho! It is the most glorious time of year in Taiwan as we revel in Autumn. The weather is about as perfect as it gets, with warmish days and cool nights. The air-conditioning can comfortably be left off, and it is about time to hunt out long-sleeved clothing. So now it is comfortable to spend time outside, we have a few articles on what to do and where to go. And a great place to start is Taipei City Zoo. 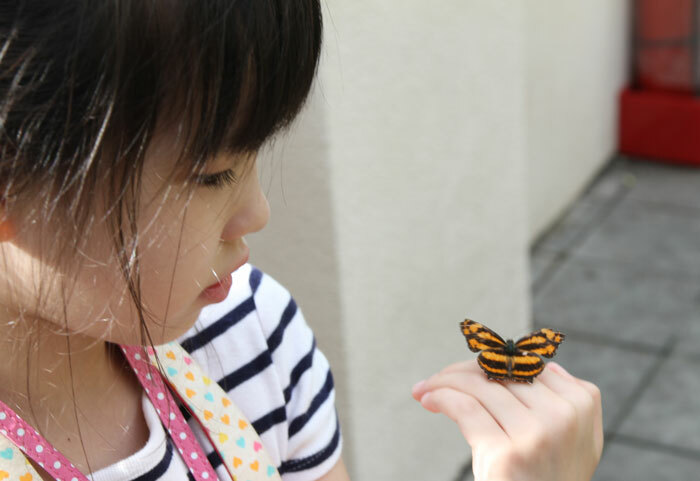 Although Taipei is a fun and vibrant city, it can get a bit much for those not used to such a frenetic environment, and the zoo is perhaps the easiest place to swap the concrete jungle for a green one. Despite having “City” in its name, the zoo is actually located in Mucha, right at the edge of the city. This can be considered to be in the country, with hills and forests surrounding the zoo complex. Best of all, the zoo is within easy reach via the MRT. The zoo actually covers quite a large area, however it can still be packed on holidays and weekends. The panda area attracts a lot of attention in particular, and you often have to queue to get on the little train which goes around the grounds of the zoo. 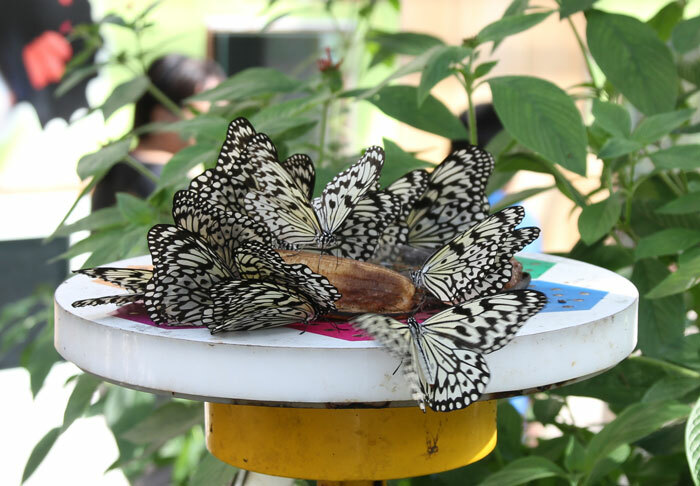 However, if you plan to go for a few hours, I would recommend avoiding the hotspots and head for two areas that never seem to be really packed; the Formosan Animal Area and the Insectarium. A recent discovery (for me) is the Insectarium. I know insects won’t interest everyone, but bear (apologies) with me. As you walk through the building you will come to an “indoor greenhouse” containing whichever species of butterfly is in season. 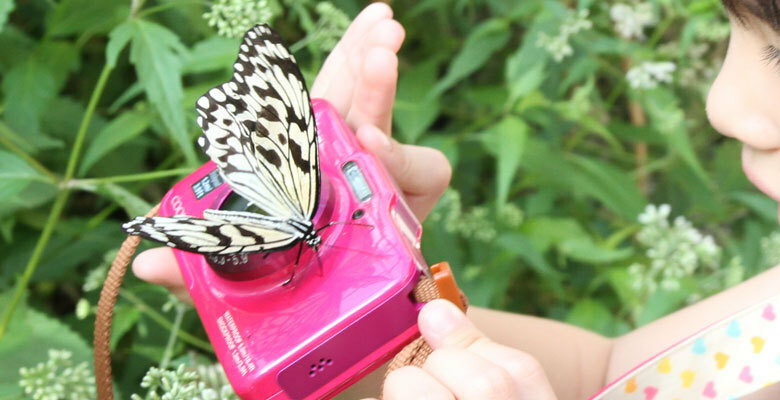 The great thing (if you aren’t scared of butterflies) is that there are so many you can get very close, and it is likely that one will land on you (although attendants will discourage anyone from actually chasing the butterflies). This went down really well with the children, and it can make for some memorable photographs. Behind the Insectarium is a “ten-hectare valley” where you can walk “in the company of over 125 species of butterflies”, depending on the time of year. We spotted some brilliant turquoise dragonflies when we were there, and if you crave a little bit of country, this is good place to relax and soak up nature. You can get food at the zoo, but there is often a large queue and the choices limited. I would recommend bringing something with you and having a picnic. There is plenty of seating and some picnic tables just outside the Insectarium. There used to be places to eat outside the main zoo complex, but this area is currently undergoing re-development. As well as the ease of getting to the zoo, the cost is another bonus. Adult tickets cost NT$60, and children 6 years and older get in for NT$30 (children under 6 get in for free). So if you take the MRT (say to and from Taipei Main Station), the total cost for a family of four would be just over NT$400* which is tremendous value. A top tip is to get an Easycard as you can use it to pay to get in, thereby avoiding the need to queue for a ticket. Look for the entrance with an Easycard sign on the left. Autumn in Taiwan doesn’t last long (and indeed winter is coming). So make the most of the weather and head for the hills! *Please note prices change. You can check the latest entry fee on the zoo’s website, and MRT prices here.